This small bear wears a felt clown hat with woollen pompoms and a pleated ruff. 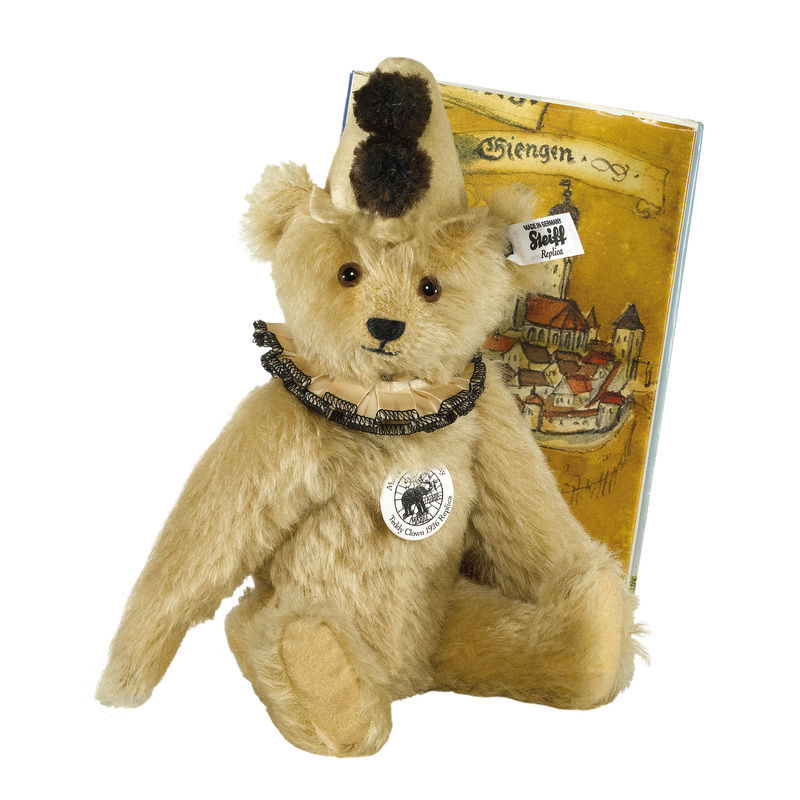 Traditionally filled with wood shavings, he is made of blond mohair with brown and black glass eyes and felt paws. With squeaker.